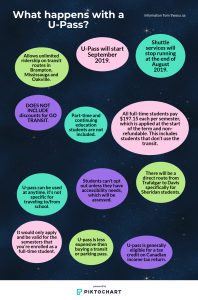 Sheridan students have voted in favour of implementing a U-Pass that will go into effect starting in September. The transit referendum took place Nov. 26 to 30. The results were announced on Monday around 2 p.m. and a majority of the students who voted agreed to add a $197.15 fee to their tuition for a universal bus pass. The referendum was put in place by the SSU for students to share their opinion about transit at Sheridan. 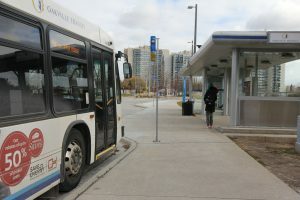 Students were asked to vote whether they preferred a U-Pass that gave them access to Oakville (Oakville Transit), Mississauga (Miway) and Brampton (Züm) city transit or the existing shuttle services. The SSU will be working with the transit commissioners from all three cities to get everything set up for the U-Pass implementation in the fall. The U-Pass only applies to full-time students enrolled in the semester. “Continuing Education students were never part of this. As much as we would love to represent all the students they were never part of it. Part-time students—I know that’s been a bit of a concern that was brought up by them. That’s something we’re going to explore with our transit partners. The whole opt-in option was discussed about something potentially in the future,” says Ponce who adds that’s something the SSU may bring to the table in the future. Students on campus shared their opinions about the results of the vote and the U-Pass. Students had mixed opinions about the results. One student started a petition addressing to Enrique Ponce and the SSU against the U-Pass on Monday night. The online petition is for students who think it’s unfair for everyone to have to pay for the U-Pass when they don’t use it. Students are signing this petition to get the SSU to allow students to opt-out of the U-Pass. “We the students within this petition feel that the condition of needing only 15% of the student body to vote in order to make this decision binding was not proportional to the amount of eligible, full time students currently enrolled within Sheridan College who would be effected by this referendum, and that the percentage of votes needed should have been higher in order to give the student body proportional representation,” the petition says. There were 4,805 students that participated in the vote, about 25 per cent of the school population, out of 19,260 eligible full-time students. From the students that voted 57 per cent voted yes for the U-Pass whereas 43 per cent voted no. This chart outlines the changes that will take place with a U-Pass. 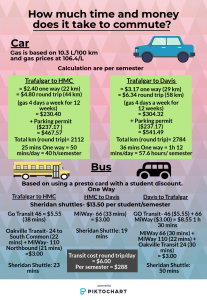 This map shows travel times and route options that are available to students with the U-Pass going into effect in September. Many people wonder how much time and money it costs to commute by car and public transportation between each campus. Sheridan Sun reporters used different modes of transportation to calculate these statistics. This infographic displays the stats that were calculated. Methodologies: Time and cost for travelling by car includes one way and round trip calculations. The statistics were based on a Toyota Rav 4 SUV that uses 10.3 litres of gas for 100 km and gas prices at 106.4 cents per litre. Bussing statistics includes different rates based on GO Transit, shuttle services and city transit. The cost was calculated based on using a presto card with a post-secondary student discount. Travel times were calculated at different times in a day which may vary based on traffic. 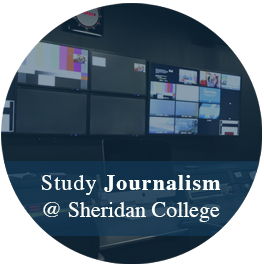 Manesa Dhanabalan is a Journalism student at Sheridan College. She loves interacting with people and learning from them. Her goal is to gain enough experience and become an assistent director in the future.